For Oakland coach Jack Del Rio, calling for a do-or-die, 2-point conversion was less a gamble than a philosophical declaration. Del Rio had no interest in a conservative point-after kick, and let his offense know it well before the decision had to be made. So when Derek Carr hit Seth Roberts for a 10-yard touchdown to cut New Orleans lead to a single point with 47 seconds left, kicker Sebastian Janikowski stood far from the action, helmet at his side, watching as Carr delivered a decisive fade pass to Michael Crabtree for a 35-34, season opening victory Sunday. His Raiders had already demonstrated considerable resolve just to get to that point. 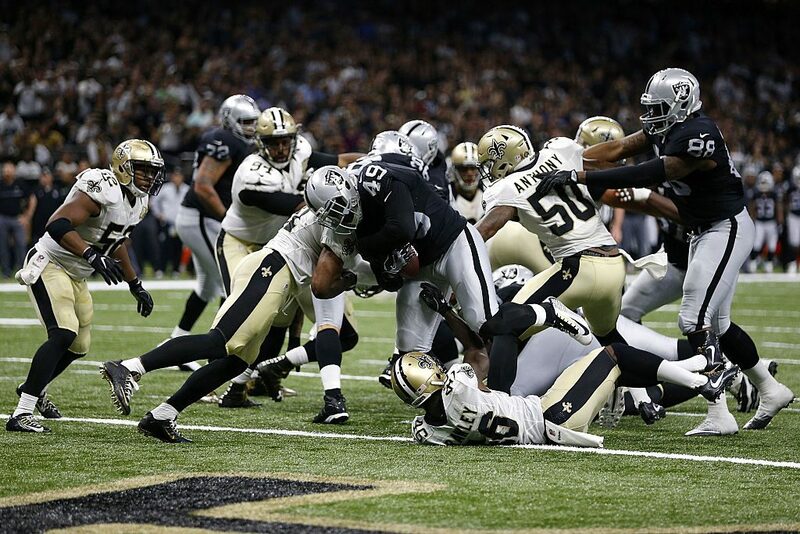 Oakland had to overcome a 14-point, second-half deficit and a 424-yard, four-touchdown performance by Drew Brees. “The belief and trust that coach has in us gives us so much confidence,” Carr said.